These Terms and Conditions are effective as of 12:01 am, December 21, 2017 (the "Effective Date"). Your use of the Website at any time on or after the Effective Date constitutes your agreement to all of the Terms and Conditions. Additionally, the Website or any individual webpage may itself contain additional terms (the "Additional Terms") that govern particular features or offers. In the event that any of the Terms and Conditions contained herein conflict with the Additional Terms or other terms and guidelines contained within the Website, these Terms and Conditions shall control. PLEASE READ THESE TERMS AND CONDITIONS CAREFULLY BEFORE USING THE WEBSITE. By accessing or using the Website, you agree to these Terms and Conditions and all applicable laws. If you do not agree to these Terms and Conditions, you may not use the Website. 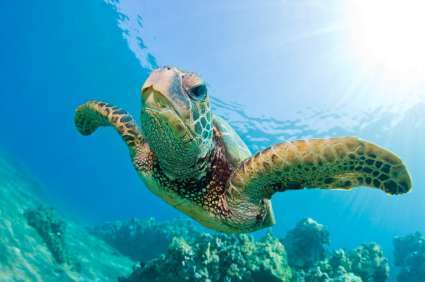 WOFR is the owner and operator of the Website and, unless otherwise specified, may be referred to herein by its tradename, "WaikikiBeachRentals.com", or as "we," "us" or "our". Any reference to "you" or "your" means each Owner (defined below) or Traveler (defined below) accessing or using the Website and to the respective successors, personal representatives and assigns of such Owner and/or Traveler. Any reference to a "User" shall mean an Owner and/or Traveler, as applicable. 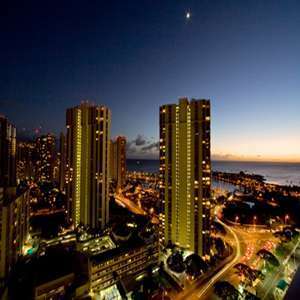 WaikikiBeachRentals.com reserves the right, at any time and from time to time, and without notice other than the posting of these Terms and Conditions, to change the terms, conditions, and notices included in these Terms and Conditions under which the Website is offered. You are responsible for regularly reviewing these Terms and Conditions. The Website acts as a place where owners and property managers representing owners (each owner and property manager representing an owner may be referred to in these Terms and Conditions as an "Owner") may advertise vacation rental properties for rent and where potential renters (each such potential renter may be referred to in these Terms and Conditions as a "Traveler") may review, select and enter into agreements with Owners for rental of a vacation rental property. WaikikiBeachRentals.com may also offer tools or services to facilitate communications between Owners and Travelers that will to allow Owners and Travelers to enter into rental agreements, make payments and other transactions. WaikikiBeachRentals.com is not a party to any rental or other agreement between Owners and Travelers, nor does WaikikiBeachRentals.com enter into rental or other agreements on behalf of Owners or Travelers. This is true even if the Website facilitates Owners and Travelers entering rental agreements or provides payment or other ancillary products or services. WaikikiBeachRentals.com is not an owner, property manager or travel agent. Except as otherwise expressly provided in these Terms and Conditions or in any Additional Terms, the Website is for your personal and noncommercial use. You may not modify, copy, distribute, transmit, display, perform, reproduce, publish, license, create derivative works from, transfer, or sell any information, software or services obtained from the Website. You may display and, subject to any expressly stated restrictions or limitations relating to specific material, electronically copy, download and print hard copy portions of the material from the different areas of the Website solely for your own noncommercial use, or to enter into a rental agreement for a property advertised on the Website or to purchase WaikikiBeachRentals.com advertising or other services. 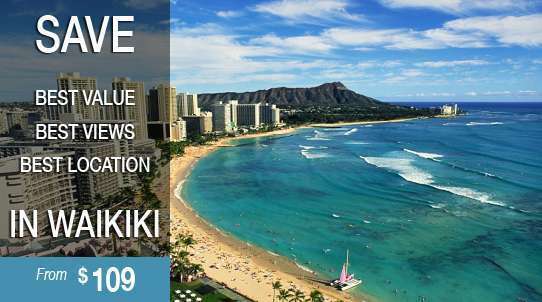 Any other use of materials on the Website, including but not limited to the modification, reproduction, distribution, republication, display or transmission of the content of the Website, without prior written permission of WaikikiBeachRentals.com is strictly prohibited. Harassment in any manner or form on the Website or the Website, including via e-mail, reviews and chat, or the threat thereof, or by obscene or abusive language is strictly forbidden. Impersonation of others, including an Owner, Traveler, employee, host, or representative or other members or visitors on the Website is prohibited. You may not upload to, distribute, or otherwise publish through the Website any content which is libelous, defamatory, obscene, threatening, invasive of privacy or publicity rights, abusive, illegal, or otherwise objectionable, or which may constitute or encourage a criminal offense, violate the rights of any party or otherwise give rise to liability or violate any law. You may not upload commercial content on the Website or use the Website to solicit others to join or become members of any other commercial online service or other organization. The entire content included in the Website, including but not limited to text, design, graphics, interfaces, or code and the selection and arrangements thereof is copyrighted as a collective work under the United States and other copyright laws, and is the property of WaikikiBeachRentals.com. 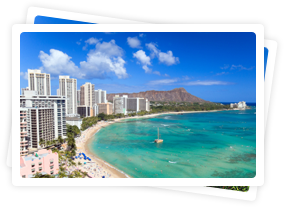 The collective work includes works that are licensed to WaikikiBeachRentals.com. Copyright 2017. ALL RIGHTS RESERVED. All trademarks, service marks, and trade names (collectively the "Marks") are trademarks or registered trademarks of and are proprietary to WaikikiBeachRentals.com, or other respective owners that have granted WaikikiBeachRentals.com the right and license to use such Marks. WaikikiBeachRentals.com respects the intellectual property of others, and we ask our users and visitors to do the same. WaikikiBeachRentals.com will process and investigate notices of alleged infringement and will take appropriate actions under the Digital Millennium Copyright Act ("DMCA") and other applicable intellectual property laws. Upon receipt of notices complying with the DMCA, WaikikiBeachRentals.com will act to remove or disable access to any material found to be infringing or found to be the subject of infringing activity and will act to remove or disable access to any reference or link to material or activity that is found to be infringing. IMPORTANT NOTE: THE PRECEDING INFORMATION IS PROVIDED EXCLUSIVELY FOR NOTIFYING WaikikiBeachRentals.com THAT YOUR COPYRIGHTED MATERIAL MAY HAVE BEEN INFRINGED. ALL OTHER INQUIRIES, SUCH AS SERVICE RELATED QUESTIONS AND REQUESTS, OR QUESTIONS ON PRIVACY, WILL NOT RECEIVE A RESPONSE THROUGH THIS PROCESS. In the event a service listed or described on the Website is shown at an incorrect price due to typographical error or error in pricing information or description received from our suppliers or vendors, WaikikiBeachRentals.com shall have the right to refuse or cancel any orders placed for service listed at the incorrect price or description. WaikikiBeachRentals.com shall have the right to refuse or cancel any such orders whether or not the order has been confirmed and your credit card charged. If your credit card has already been charged for the purchase and your order is canceled, WaikikiBeachRentals.com shall issue a credit to your credit card account in the amount of the incorrect price. Note: The foregoing shall not apply to terms and conditions set for vacation rental units. All terms, prices and descriptions for vacation rental units advertised on the Website are set by the individual Owner of each unit and not by WaikikiBeachRentals.com. WaikikiBeachRentals.com website shall have no liability for any error or inaccuracy in any advertisement for a vacation rental unit advertised on the Website. These Terms and Conditions are applicable to you upon your accessing the Website and/or completing the registration or shopping process. These Terms and Conditions, or any of them, may be modified or terminated by WaikikiBeachRentals.com without notice at any time for any reason. The provisions relating to Copyrights and Trademarks, Disclaimer, Claims, Limitation of Liability, Indemnification, Applicable Laws, Arbitration and General, shall survive any termination. WaikikiBeachRentals.com does not and cannot review all communications and materials posted to or created by Travelers, Owners or other users accessing the Website and is not in any manner responsible for the content of these communications and materials. 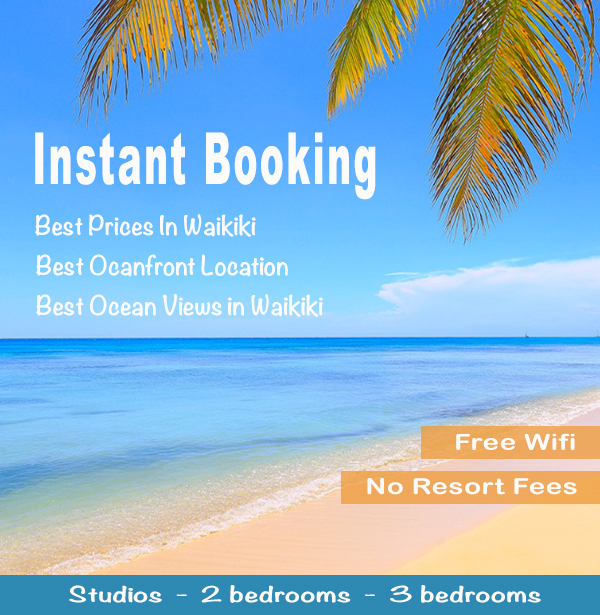 You acknowledge that by providing you with the ability to view and distribute user generated content on the Website, WaikikiBeachRentals.com is merely acting as a passive conduit for such distribution and is not undertaking any obligation or liability relating to any contents or activities on the Website. However, WaikikiBeachRentals.com reserves the right to block or remove communications or materials that it determines to be (a) abusive, defamatory, threatening or obscene, (b) fraudulent, deceptive, or misleading, (c) in violation of a copyright, trademark or; other intellectual property right of another or (d) violates any law or regulation or (e) offensive or otherwise unacceptable to WaikikiBeachRentals.com at its sole discretion. Note that any personally identifiable information you may post or transmit will be treated by WaikikiBeachRentals.com in accordance with WaikikiBeachRentals.com Privacy Statement. Except for any personally identifiable information we may collect from you under the guidelines established in our Privacy Statement, any material, information or other communication you transmit, upload or post to the Website ("Communications") will be considered non-confidential and non-proprietary. WaikikiBeachRentals.com will have no obligations with respect to the Communications. WaikikiBeachRentals.com and its designees will be free to copy, disclose, distribute, incorporate and otherwise use the Communications and all data, images, sounds, text, and other things embodied therein for any and all commercial or noncommercial purposes. WaikikiBeachRentals.com may, but is not obligated to, monitor or review any areas on the Website where users transmit or send email Communications or communicate solely with each other, including but not limited to emails, and the content of any such Communications. WaikikiBeachRentals.com, however, will have no liability related to the content of any such Communications, whether or not arising under the laws of copyright, trademarks, libel, privacy, obscenity, or otherwise. In an attempt to provide increased value to our visitors, the Website may contain links to other sites on the Internet that are owned and operated by third party vendors and other third parties (the "External Sites"). However, even if the third party is affiliated with WaikikiBeachRentals.com, WaikikiBeachRentals.com has no control over these linked sites, all of which have separate privacy and data collection practices, independent of WaikikiBeachRentals.com. WaikikiBeachRentals.com has no responsibility or liability for these independent policies or actions and is not responsible for the privacy practices or the content of such websites. These linked sites are only for your convenience and therefore you access them at your own risk. Links do not imply that WaikikiBeachRentals.com sponsors, endorses, is affiliated with or associated with, or has been legally authorized to use any trademark, trade name, service mark, design, logo, symbol or other copyrighted materials displayed on or accessible through such External Sites. Nonetheless, WaikikiBeachRentals.com seeks to protect the integrity of its Site and the links placed upon it and therefore requests any feedback on not only its own Site, but for sites it links to as well (including if a specific link does not work).You should contact the Website administrator or Webmaster for those External Sites if you have any concerns regarding such links or the content located on such External Sites. 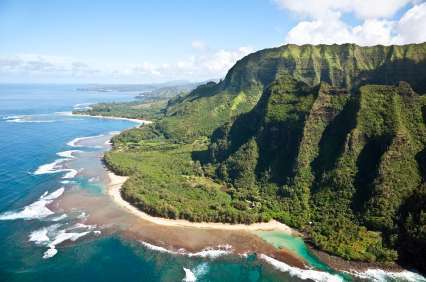 Each claim or statement about the effectiveness of WaikikiBeachRentals.com services and/or each claim or statement comparing the effectiveness of WaikikiBeachRentals.com services to the effectiveness of other services is expressly limited to the United States, unless otherwise disclosed on the Website. WaikikiBeachRentals.com makes no warranties or representations about the accuracy or completeness of the Website's content or the content of any site or External Sites. WaikikiBeachRentals.com does not filter advertisements or other content that children may view through our sites or "hot-linked" sites, and they could receive content and materials from the Internet and/or advertising that are inappropriate for children. We encourage parents and guardians to spend time online with their children and to consider using an electronic filtering software. THE WEBSITE AND THE MATERIALS, INFORMATION, AND SERVICES IN THE WEBSITE, INCLUDING, WITHOUT LIMITATION, TEXT, GRAPHICS, AND LINKS, ARE PROVIDED "AS IS" AND WITHOUT WARRANTIES OF ANY KIND, WHETHER EXPRESS OR IMPLIED. TO THE FULLEST EXTENT PERMISSIBLE PURSUANT TO APPLICABLE LAW, WaikikiBeachRentals.com DISCLAIMS ALL WARRANTIES, EXPRESS OR IMPLIED, INCLUDING, BUT NOT LIMITED TO, IMPLIED WARRANTIES OF MERCHANTABILITY AND FITNESS FOR A PARTICULAR PURPOSE, NON-INFRINGEMENT, FREEDOM FROM COMPUTER VIRUS, AND WARRANTIES ARISING FROM COURSE OF DEALING OR COURSE OF PERFORMANCE. WaikikiBeachRentals.com DOES NOT REPRESENT OR WARRANT THAT THE FUNCTIONS CONTAINED IN THE WEBSITE WILL BE UNINTERRUPTED OR ERROR-FREE, THAT DEFECTS WILL BE CORRECTED, OR THAT THE WEBSITE OR THE SERVER THAT MAKES THE WEBSITE AVAILABLE ARE FREE OF VIRUSES OR OTHER HARMFUL COMPONENTS. WaikikiBeachRentals.com DOES NOT MAKE ANY WARRANTIES OR REPRESENTATIONS REGARDING THE USE OF THE MATERIALS IN THE WEBSITE IN TERMS OF THEIR COMPLETENESS, CORRECTNESS, ACCURACY, ADEQUACY, USEFULNESS, TIMELINESS, RELIABILITY OR OTHERWISE. THE ABOVE LIMITATIONS MAY NOT APPLY TO YOU. IN NO EVENT SHALL WaikikiBeachRentals.com BE LIABLE FOR ANY DIRECT, INDIRECT, SPECIAL, PUNITIVE, INCIDENTAL, EXEMPLARY OR CONSEQUENTIAL, DAMAGES, OR ANY DAMAGES WHATSOEVER, EVEN IF WaikikiBeachRentals.com HAS BEEN PREVIOUSLY ADVISED OF THE POSSIBILITY OF SUCH DAMAGES, WHETHER IN AN ACTION UNDER CONTRACT, NEGLIGENCE, OR ANY OTHER THEORY, ARISING OUT OF OR IN CONNECTION WITH THE USE, INABILITY TO USE, OR PERFORMANCE OF THE INFORMATION, SERVICES, AND MATERIALS AVAILABLE FROM THE WEBSITE. THESE LIMITATIONS SHALL APPLY NOTWITHSTANDING ANY FAILURE OF ESSENTIAL PURPOSE OF ANY LIMITED REMEDY. BECAUSE SOME JURISDICTIONS DO NOT ALLOW LIMITATIONS ON HOW LONG AN IMPLIED WARRANTY LASTS, OR THE EXCLUSION OR LIMITATION OF LIABILITY FOR CONSEQUENTIAL OR INCIDENTAL DAMAGES, THE ABOVE LIMITATIONS MAY NOT APPLY TO YOU. You agree to indemnify, defend (with counsel approved by us), reimburse and hold harmless WaikikiBeachRentals.com, its officers, directors, employees, agents, licensors and suppliers from and against all losses, expenses, damages and costs, including reasonable attorneys' fees, resulting from or related in any way to any violation or breach of these Terms and Conditions or any rental contract, or in any way related to any rental of or use of an Owner's property pursuant to any rental contract or to any activity related to your account with WaikikiBeachRentals.com (including negligent or wrongful conduct) by you or any other person accessing the Website using your account. You understand and agree that neither WaikikiBeachRentals.com, WOFR nor any officer, director, manager, employee or agent of any of them is licensed to practice law or give you any legal advice regarding any advertisement on the Website, any contract regarding any property advertised on the Website, or any rights or obligations regarding the rental of or the offering to rent of any property on the Website. Your use of any standard form rental contract offered for use on the Website shall not be considered legal advice nor a substitute for your consultation with a lawyer. Your use of the Website shall be governed in all respects by the laws of the state of Hawaii, U.S.A., without regard to choice of law provisions, and not by the 1980 U.N. Convention on contracts for the international sale of goods. 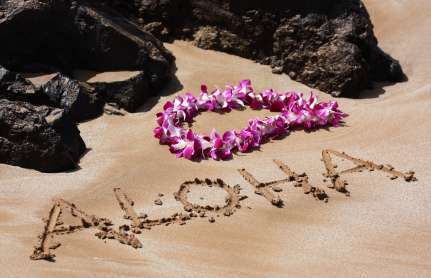 You agree that jurisdiction over and venue in any legal proceeding directly or indirectly arising out of or relating to the Website (including but not limited to the purchase of WaikikiBeachRentals.com rentals) shall be in the state or federal courts located in Hawaii. Any cause of action or claim you may have with respect to the Website (including but not limited to the purchase of WaikikiBeachRentals.com services) must be commenced within one (1) year after the claim or cause of action arises. WaikikiBeachRentals.com's failure to insist upon or enforce strict performance of any provision of these Terms and Conditions shall not be construed as a waiver of any provision or right. Neither the course of conduct between the parties nor trade practice shall act to modify any of these Terms and Conditions. WaikikiBeachRentals.com may assign its rights and duties under this Agreement to any party at any time without notice to you. WaikikiBeachRentals.com makes no representation that materials in the Website are appropriate or available for use in other locations, and access to them from territories where their content is illegal is prohibited. Those who choose to access the Website from locations outside Hawaii do so on their own initiative and risk and are responsible for compliance with applicable local laws. You may not use or export the materials in violation of U.S. export laws and regulations. Any claim relating to the materials shall be governed by the internal substantive laws of the State of Hawaii. By using the Website, you agree that WaikikiBeachRentals.com, at its sole discretion, may require you to submit any disputes arising from the use of the Website, or these Terms and Conditions concerning or, including disputes arising from or concerning their interpretation, violation, nullity, invalidity, non-performance or termination, as well as disputes about filling gaps in this contract or its adaptation to newly arisen circumstances, to final and binding arbitration under the shall be submitted to a confidential, binding arbitration to be administered by Dispute Prevention & Resolution, Inc. ("DPR") in Honolulu in accordance with the Arbitration Rules, Procedures & Protocols of DPR. The arbitration shall be before a single neutral arbitrator. The arbitrator may be chosen by agreement of all the parties. If no agreement is reached within ten (10) days of any demand for arbitration hereunder, the arbitrator shall be selected from a list of fifteen (15) names supplied by DPR using the following procedure. WaikikiBeachRentals.com, on the one hand, and the user, on the other, shall strike names off the list in turn. The last name on the list shall be the arbitrator. The award of the arbitrator shall be deemed final and binding for all purposes. The arbitration procedure and the award may be enforced in accordance with Hawaii law including HRS Chapter 658A. Notwithstanding these rules, however, such proceeding shall be governed by the laws of the state as set forth in the previous section. Any award in an arbitration initiated under this clause shall be limited to monetary damages and shall include no injunction or direction to any party other than the direction to pay a monetary amount. Further, the arbitrator(s) shall have no authority to award punitive, consequential or other damages not measured by the prevailing party's actual damages in any arbitration initiated under this section, except as may be required by statute. WaikikiBeachRentals.com may revise these Terms at any time by updating this posting. You should visit this page from time to time to review the then-current Terms because they are binding on you. Certain provisions of these Terms may be superseded by expressly designated legal notices or terms located on particular pages at the Website. These Terms and Conditions are governed and construed in all respects in accordance with the laws of the State of Hawaii, regardless of the state or place of domicile or residence of the User or WaikikiBeachRentals.com. This Agreement supersedes all prior oral discussions, written information, e-mails or fax communications. The user shall pay WaikikiBeachRentals' attorneys' fees, cost and expenses as may be incurred to induce or compel performance of any obligation under these Terms and Conditions, including, but not limited to, payment of any advertising or other fees and other charges hereafter owing a user to WaikikiBeachRentals.com under these Terms and Conditions, whether suit is brought or not. In case of any arbitration or suit to resolve disputes between WaikikBeachRentals.com and any User, the prevailing party shall be entitled to receive its attorneys' fees and other costs, plus interest from the other party. Please note that WaikikiBeachRentals.com does business only in the State of Hawaii.